The Israeli Army has barred all Palestinians from entering Israel, except for “medical and humanitarian cases.” It comes after strict measures were already taken following a fatal Tel Aviv attack. An army spokeswoman told AFP that the border closure will last until midnight Sunday. 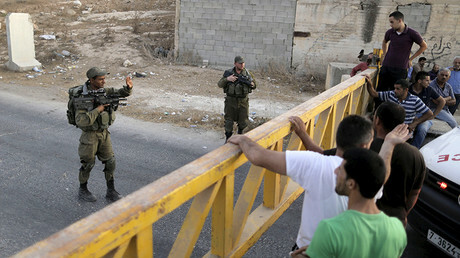 The UN has stated that the Israel’s step may amount to collective punishment, which is prohibited under international law, and will “only increase the sense of injustice and frustration felt by Palestinians," spokeswoman Ravina Shamdasani told a news briefing, as quoted by Reuters. However, some 10,000 Palestinians – still can come to Israel, though, a spokeswoman for COGAT, the Defense Ministry unit which manages civilian affairs in the West Bank, said. They will enter for Friday prayers at the Al-Aqsa mosque and will have to come back home afterwards, she added. The territory controlled by the Israelis in West Bank is Area C, and the number of Palestinians living there has been estimated from 75,000 to 300,000. On Thursday, 83,000 Palestinians were stripped of their entry permits and will not be able to visit their relatives in Israel during Ramadan. Israel is also sending two additional battalions into the West Bank. These would mean hundreds more troops on the territory. Soldiers are currently patrolling the town, and stopping cars as they enter and exit. Security has been greatly increased for Ramadan, with thousands servicemen and border guards protecting the holy sites in Jerusalem. 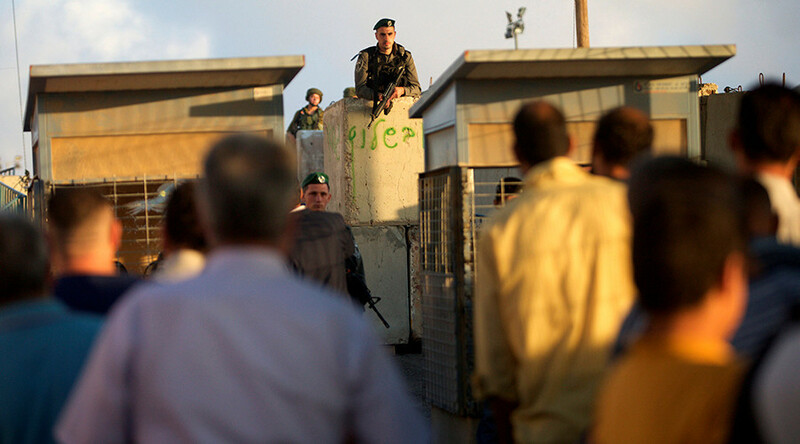 Security forces are also there to prevent tensions between Jewish and Muslim population on Saturday evening, when Ramadan coincides with the Jewish festival Shavu’ot. Both Jews and Muslims are expected to go through Jerusalem on that day. Two days ago, Prime Minister Benjamin Netanyahu gathered with his security cabinet to declare the measures aimed against Palestinians. 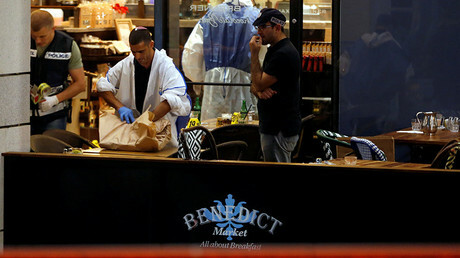 The news comes a couple of days after two Palestinians opened fire at a popular Tel Aviv club near Israel's military headquarters on Wednesday, killing four people. These aren’t the first restrictions Israel has introduced over the past two weeks. About two weeks ago, Defense Minister Avigdor Lieberman ordered that the bodies of Palestinians killed during attacks would no longer be given back to their families for burial. Violence since October has killed at least 207 Palestinians, 32 Israelis and several foreigners.